Similar to the Peace Altar design of 1986, this impactful piece is designed to accommodate large, naturally triangular slabs which became available in the 1980s. We believe that the inherent beauty of wood should be studied, understood and respected. Read our introduction to our Design Process. 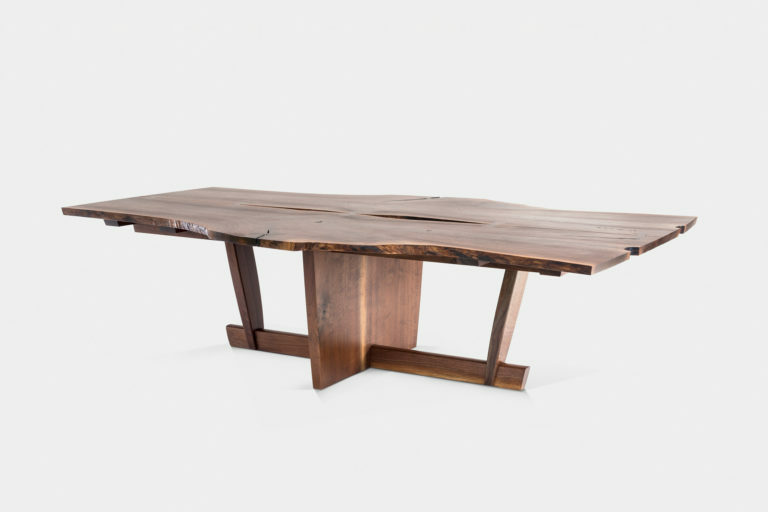 Each Nakashima piece is unique, made to order, and follows a design process that has developed over generations. View a selection of wood sample options from the Nakashima wood pile. 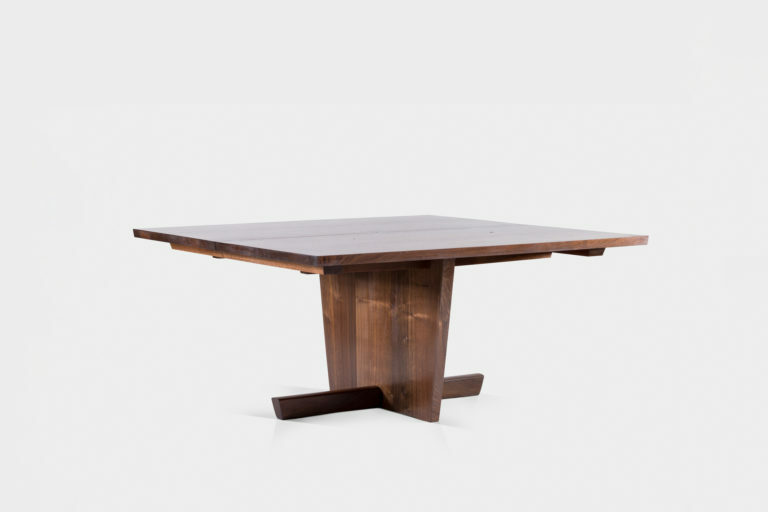 Glossary of common terms used in Nakashima design, woodworking, and furniture. To guide our initial conversations, let us know which style piques your interest and the dimensional details of your space. You can learn more about our design process here. Direct inquiries are welcome, call us at (215) 862 – 2272 or email us to speak to our team for further guidance.